Home » Davao Portal Updates » DavaoPortal Raffle Promo! Win IMAX Tickets for two and other exciting prizes! Each valid business will be included in the list of raffle entries. Note: Names of those who have submitted valid entries will also be included in a separate raffle promo intended for those who have liked our Facebook page and those who have followed us on Twitter. 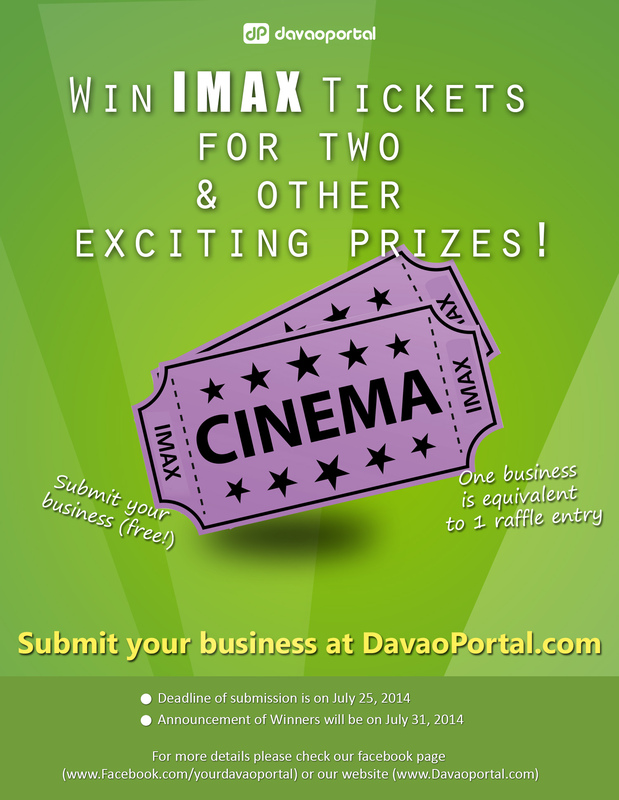 Announcement of Winners will be on July 31, 2014.